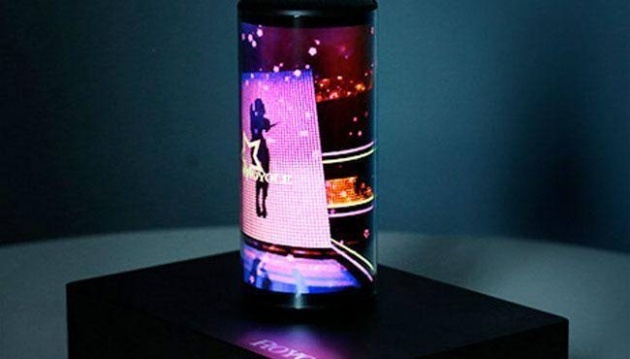 Flexible display technology company Royole is exhibiting at the CES 2019 its Flexible+ flexible display technology platform. The flexible displays can be used almost anywhere including clothing. "Royole's Flexible+ technologies have squarely put us in a leadership position in today's ever-evolving consumer technology industry," stated Royole's Senior Director of Marketing, Michael Williams. "We are currently working with over 220 business partners worldwide to implement flexible displays and sensors in a variety of products that will reshape the world of consumer technologies. The total number of improved consumer experiences is restricted only by our imaginations, and that is the very essence of the Royole Flexible+ platform." Royole is the first company selling a foldable smartphone. The Royole FlexPai is available for purchase online globally here. The FlexPai folding phone looks like a wallet with a screen wrapped around it on the outside.